WASHINGTON — U.S. House Speaker Paul Ryan will be making his way to Texas this month for a series of fundraisers. During an upcoming House recess later in the month, the Wisconsin Republican will make several stops in some of the richest pockets of the state: Austin, Dallas, Fort Worth, Houston, Midland and San Antonio. One fundraiser will take place Jan. 20 in the Houston home of a major GOP donor, beer distributor John L. Nau III, according to an invitation obtained by The Texas Tribune. 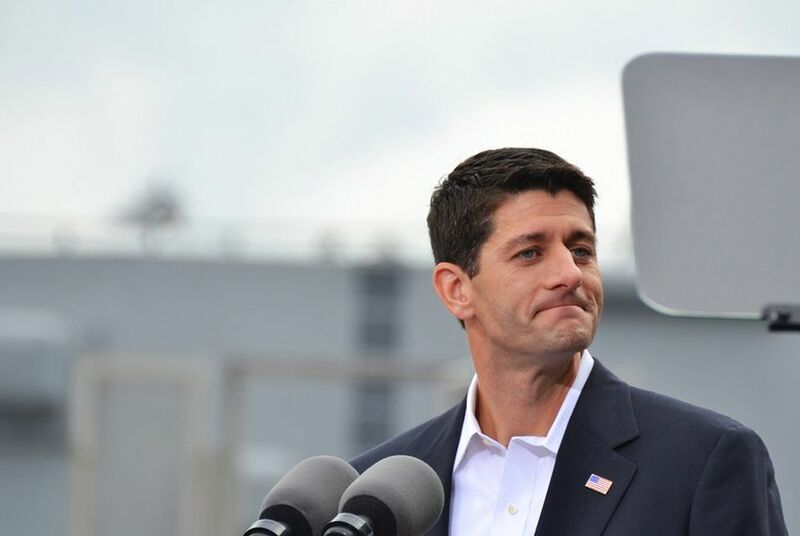 Ryan will ask donors to contribute to a joint fundraising committee made up of his personal re-election campaign in Wisconsin; his leadership PAC, Prosperity Action Inc.; and the National Republican Congressional Campaign Committee, the House GOP campaign arm. Ryan uses the money raise for all three committees to support his Republican colleagues in vulnerable districts across the country. Presidential candidates flooded into Texas throughout 2015 to raise money. But the state is also a key place for donors at the congressional level on both sides of the aisle. The House's top two Democrats, Minority Leader Nancy Pelosi of California and Minority Whip Steny Hoyer of Maryland, raised money in the state this past fall. All seven of Texas’ House committee chairmen are expected to headline the Houston fundraiser: Ways and Means Committee Chairman Kevin Brady of the Woodlands, House Agriculture Committee Chairman Mike Conaway of Midland, Financial Services Committee Chairman Jeb Hensarling of Dallas, Homeland Security Committee Chairman Michael McCaul of Austin, Rules Committee Chairman Pete Sessions of Dallas, Science, Space and Technology Committee Chairman Lamar Smith of San Antonio, and Armed Services Committee Chairman Mac Thornberry of Clarendon. U.S. Reps. Brian Babin of Woodville, John Culberson of Houston, Blake Farenthold of Corpus Christi, Bill Flores of Bryan, Pete Olson of Sugar Land, Ted Poe of Humble and Randy Weber of Friendswood — all seven Republicans from southeast Texas — are expected to attend the Houston event. Weber's attendance is noteworthy because he backed another Republican when Ryan ran for speaker in October. But the sophomore Republican took care at the time to not speak ill of the leader.